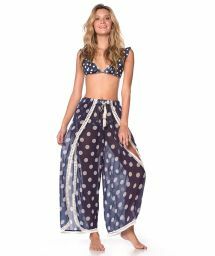 Wander through the shops at the seaside or just lie on the warm sand and enjoy the sun and sea air, comfortably dressed in beach pants. 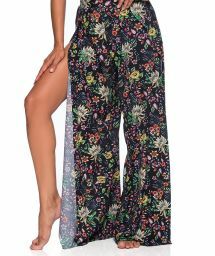 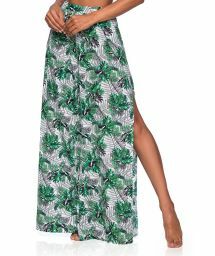 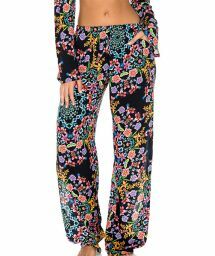 Whether you prefer the exuberance of a printed and richly coloured cloth or the sobriety of a plain fabric accented with chic details, discover the beach pants that suit you best from our selection of major Brazilian brands; loose pants, fluids, lace, openwork, belted and many others. 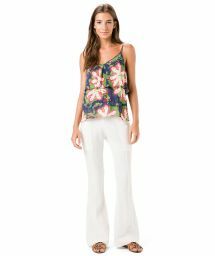 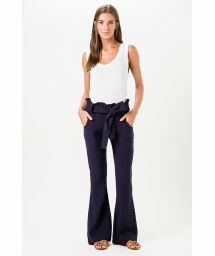 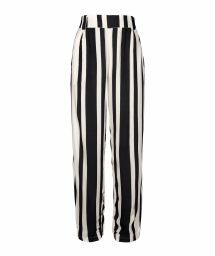 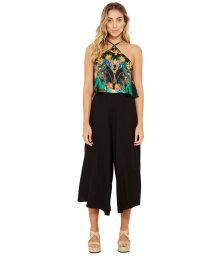 Discover beach pants suitable for all occasions! 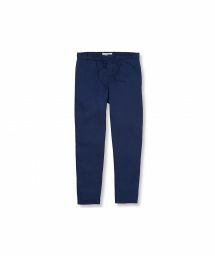 Relax on holiday wearing light and comfortable flowing beach pants. 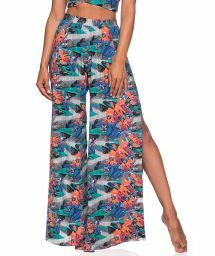 Find happiness with our colourful and chic printed pants in our online shop.